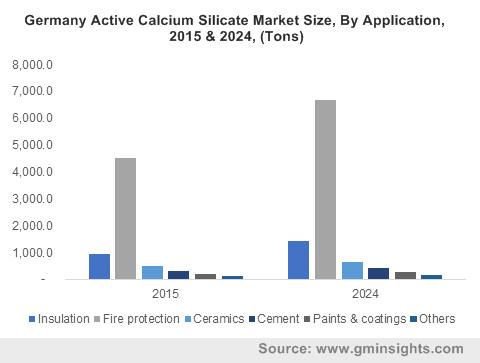 Cement « Global Market Insights, Inc. The global aim to control pollutant emissions occurring due to the rising number of industries will tend to electrostatic precipitator market gaining considerable traction in the years to come. Leading providers of electrostatic precipitators are constantly attempting to improvise on the product offering to combat the rising carbon footprints in the atmosphere. For instance, recently GE Power India received a contract worth more than USD 2.37 billion from GE Power AG, to supply electrostatic precipitator components and CFB boiler of capacity 150 MW. Strict government directives imposed on industries to control the pollutant emission levels will act as a major driver for global electrostatic precipitator industry. 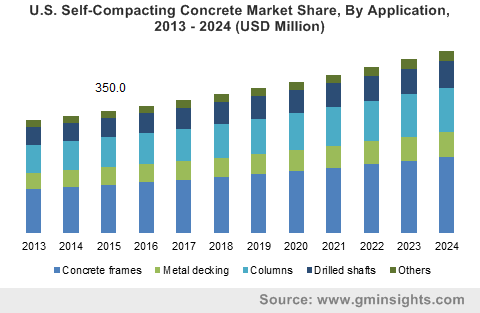 High consumer spending capacity in the emerging economies is likely to boost the growth of the construction and infrastructural sector in the region, which is turn will fuel electrostatic precipitator market. The high demand for uninterrupted power supply has led to the implementation of myriad power projects. However, the growing awareness regarding the harmful inhalation of Sulphur trioxide and other pollutants has also prompted power companies to look out for measures to control these emissions, which will drive electrostatic precipitator industry trends. Global Market Insights, Inc., states that electrostatic precipitator market size is slated to register a y-o-y rate of 5% over 2018-2024. Developing economies such as India and China are powerhouses for the growth of the construction and industrial sectors. This in itself is a strong driver for APAC electrostatic precipitator industry. Speaking of APAC, China held 3% of the regional share in 2015 and is anticipated to grow significantly over the period of 2018-2024, primarily driven by the rising implementation of coal fired power plant projects. To fulfill the demand for power supply, China plans to increase its electricity manufacturing capacity by 19% over the coming five years, which will claim the establishment of more power plants. This in turn, will stimulate the demand for precipitators, thereby fueling China electrostatic precipitator market. With a substantial contribution to boast of, U.S. electrostatic precipitator industry is projected to observe a CAGR of 4% over 2018-2024. The regional industry is likely to be driven by the robust construction activities in the country, in addition to the players on the home ground adopting stringent norms to control emissions. The U.S. is also characterized by hefty investments in numerous infrastructural and renovation projects that would further escalate the demand for electrostatic precipitators. As per estimates, U.S. electrostatic precipitator industry size is likely to cross USD 1 billion by 2024. Prime participants of electrostatic precipitator industry include Fujian Longking Co., Ltd., Mitsubishi Heavy Industries Mechatronics Systems, Siemens AG, GEECO Enercon Pvt. Ltd, Total Air Pollution Control Pvt. Ltd., Blacke-Durr GmbH, Trion Inc., Babcock & Wilcox Enterprises, Ducon Technologies Inc., Clean Tunnel Air International AS, Thermax Ltd., and Hamon Corporation. These companies aim to efficiently control the rising pollution levels by improving the product standards. Global power demand is anticipated to surpass 45% by 2040, as per reliable statistics. Growing demand for electricity and the subsequent installation of power plants will thus propel electrostatic precipitator industry from power plant applications. That said, the rising need, especially from emerging economies, to curtail SO3 emissions has led to the adoption of heavy emission control measures across coal fired power plants, that will further impel electrostatic precipitator industry size from power plants. According to the IEA, coal fired power generation held the tag of being the biggest source of electricity generation across the globe, covering a proportion over 35%. With the governments across the globe working in tandem to eliminate harmful pollutant emissions, global electrostatic industry is bound to witness an upsurge in the ensuing years. Constant efforts by market players to introduce efficient ESPs will also change the market dynamics. As per Global Market Insights, Inc., electrostatic precipitator market size is slated to cross USD 8 billion by 2024. This entry was posted in Sustainable & Smart Technologies and tagged Cement, Chemicals And Petrochemicals, Dry Electrostatic Precipitator Market, Electrostatic Precipitator Market, Electrostatic Precipitator Market Research, Electrostatic Precipitator Market Size, ESP Market, Global Electrostatic Precipitator Market, Manufacturing, Metal, Power Plants, Wet Electrostatic Precipitator Market.